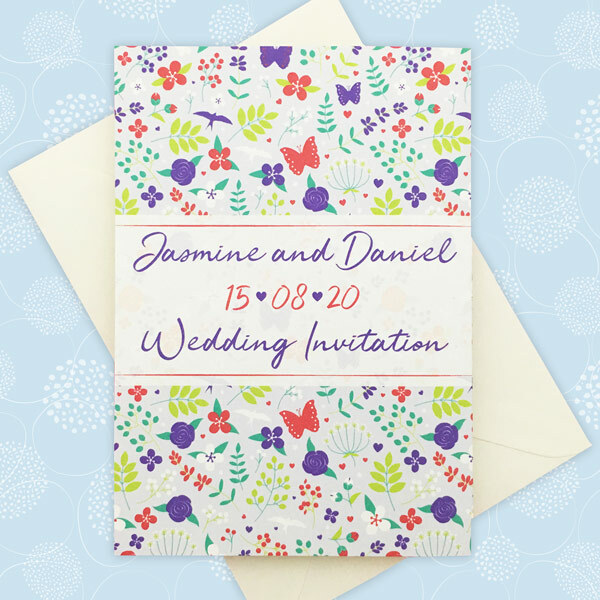 I’m very excited to launch new concertina style wedding invitations, which have been a few months in development! 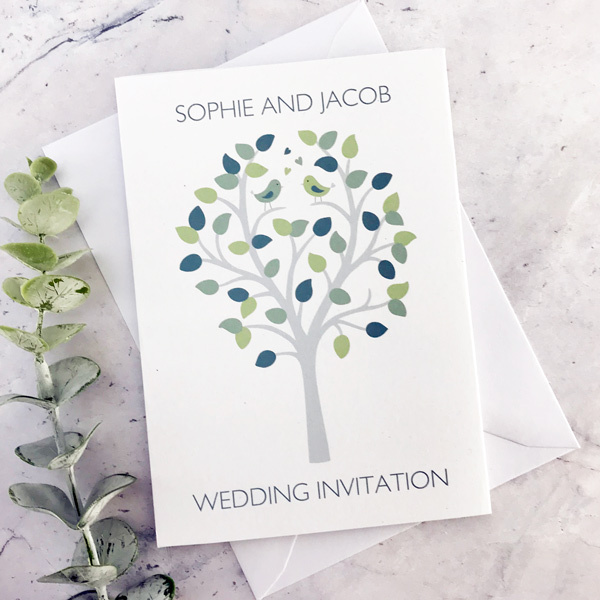 They are available to purchase in The Leaf Press wedding shop and provide your wedding guests with all the information they need about your wedding on one long card. 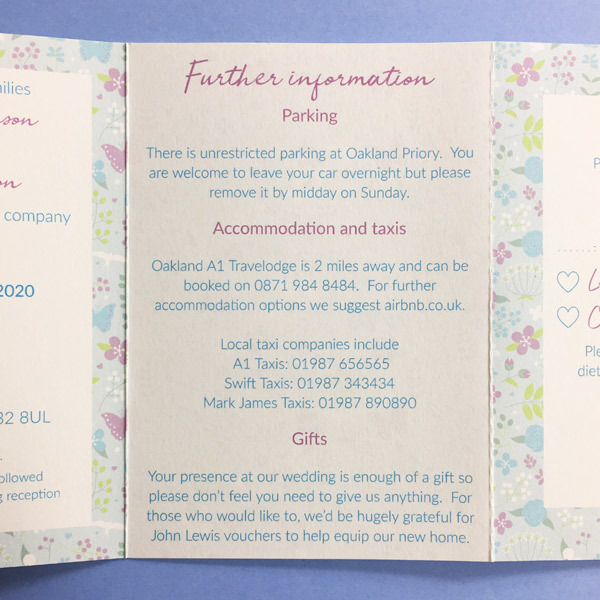 Information panel – for additional information about your wedding. 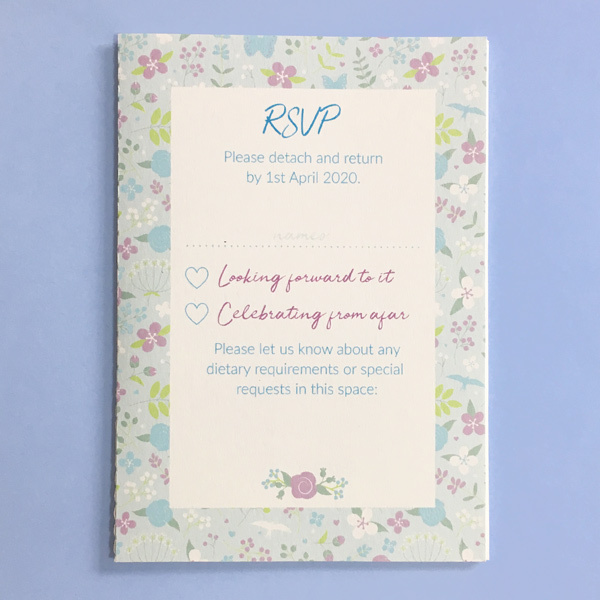 RSVP postcard. 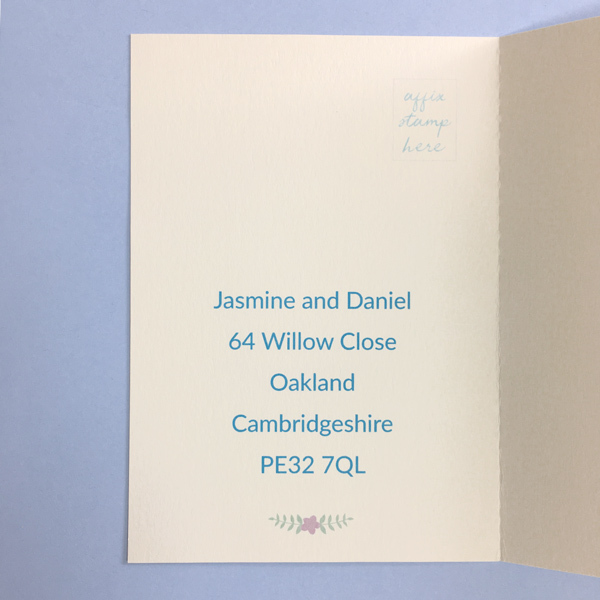 This section is perforated so the postcard can be detached and returned to you. Your address is posted on the reverse of the postcard. 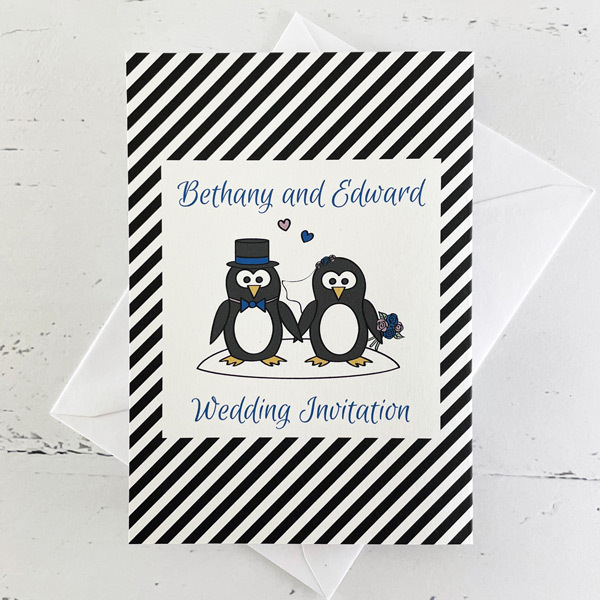 Concertina style wedding invitations are initially available in five designs – Bird, Merry Meadow Flowers, Owl, Penguin and Rainbow Hearts. 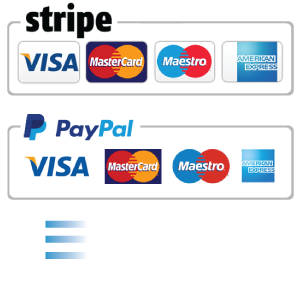 The photos below show each design. 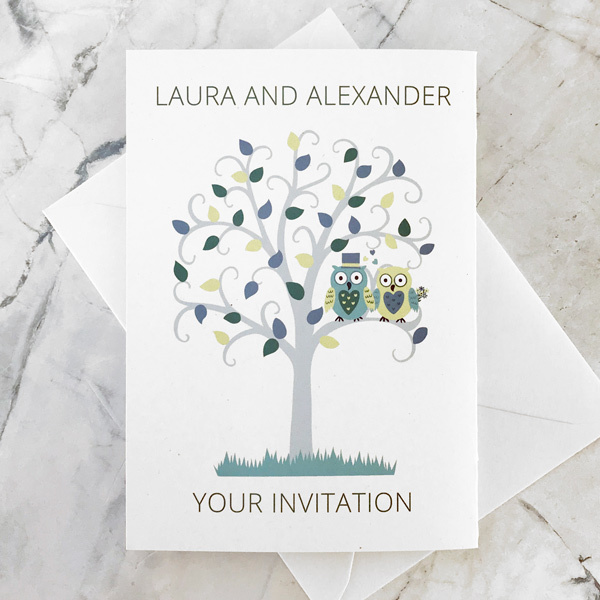 Bird, Owl and Penguin have a colour scheme based on any two colours of your choice. 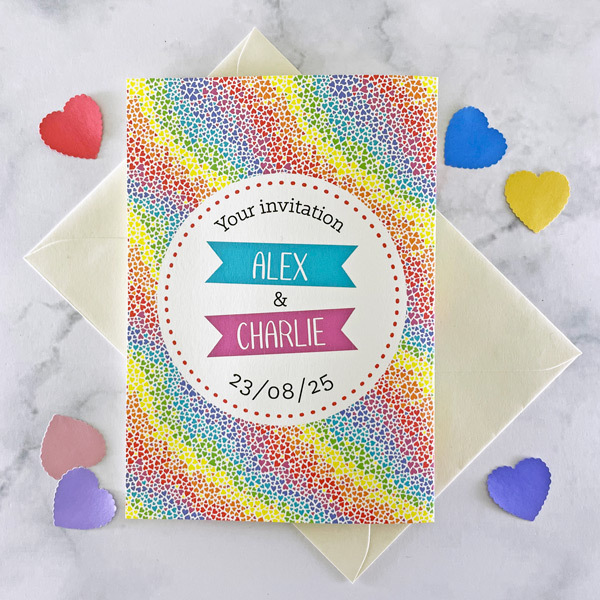 Merry Meadow Flowers and Rainbow Hearts have set colour schemes, but if you’d like another colour this is no problem! 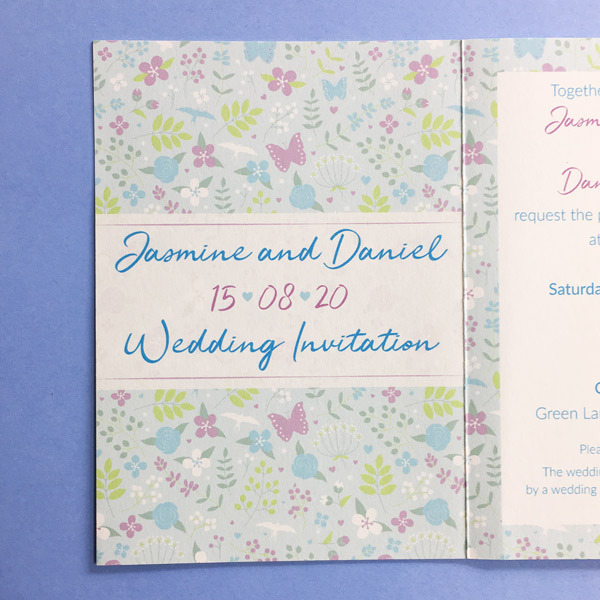 Concertina invitations have their own section in the shop and can be viewed at concertina wedding invitations. 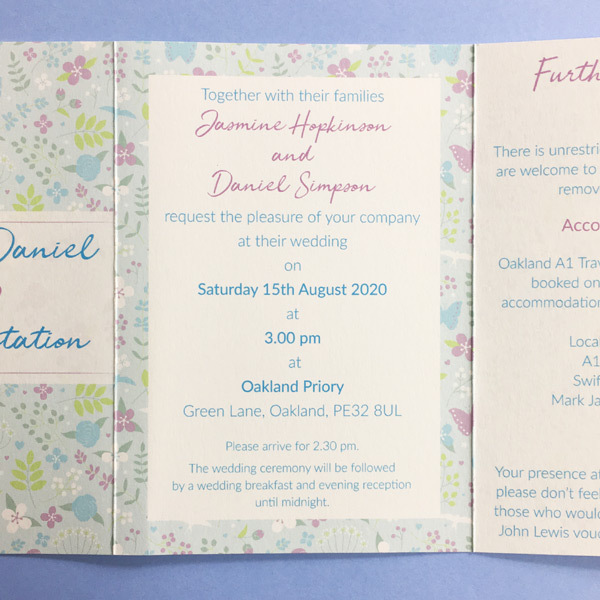 This is one of two new invitation styles arriving this season – coming soon are pocketfold invitations and a post will follow about these.